For my card I also used papers from Papermania – Mr Mister, Spellbinders Label Die, Cloud die – My Favourite Things, WRMK Cropodile, twine, Memory Box Stitched Rectangle Die and Spectrum Noirs to colour. 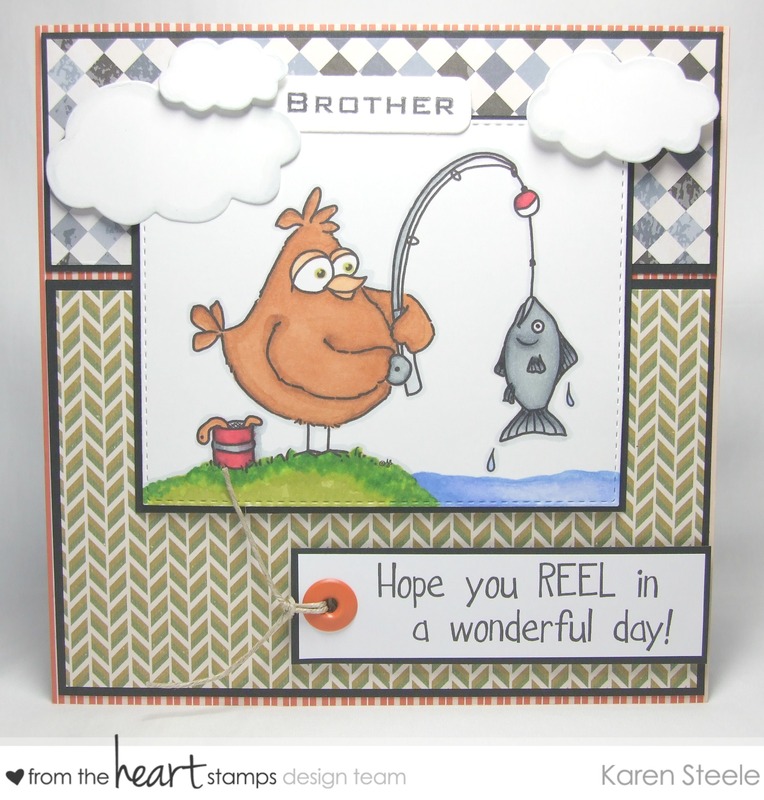 What a fab masculine card with the bird and fish! Your sister’s brother-in-law will love it!